It's a great time for America's beer drinkers. Craft beer is more popular than ever, and more breweries are cropping up every day. But you can't tell a pilsner from a bock? An IPA from a witte? Confused by whiskey-like barrel aged beers and crisp, fruity saisons? Are you thirsty, but not sure where to start? Start Here. 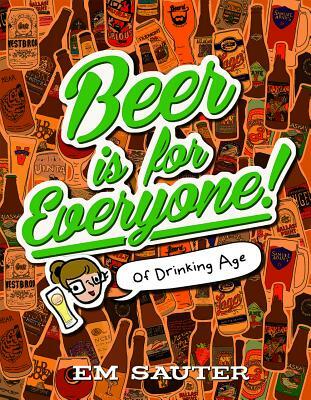 This book will take you through the main elements that make beer what it is, from malt to hops to water, and introduce you to fantastic brews around the country that highlight the diverse styles and ingredients of the beer world. From where to find it to what glass to put it in, you'll learn everything you need to know (and then some ). Time to get drinking, and remember-Beer is for Everyone.